The ability to understand characters’ points of view is fundamental to higher-level reading comprehension. How might we teach that to young readers? Babies seem to be born with a natural empathetic response. 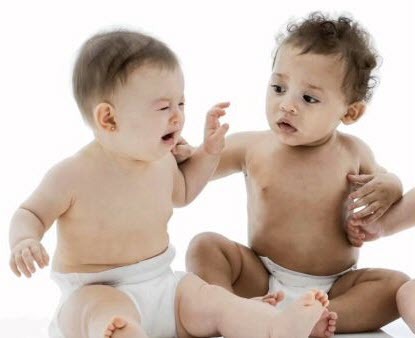 If they see another baby cry, they may start crying in harmony, or if they see someone laughing, they may smile and giggle despite not getting a joke at all. 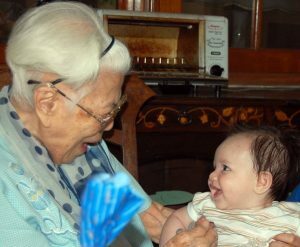 Building upon wee ones’ innate empathy is a place to start, and that can happen long before formal schooling begins. Every day when we read with children, or guide them through lessons, we can demonstrate to them that the reading experiences we have are unique to each of us. For lifelong avid readers like me, subject matter choices come from our own tastes and felt needs. Outside of my professional reading as an English and literacy educator, for example, I’m a mystery thriller reader and I love cultural anthropology magazines and websites. These are not assigned to me. I engage with them because they are loved…by ME…even before I even pick them up! This literacy outcome suggests that early guidance and instruction should focus not on low-level comprehension, but quite the opposite. Adult guidance most productively starts with nurturing higher-level comprehension, namely, what children’s book experiences mean to THEM. Asking questions like this prompts children to share their personal connections when engaging in a story, inquiry or exploration. As mature readers, we need to show them how, in understanding a story event, we automatically find ourselves emotionally assuming the roles of characters. For example, while reading, I find myself reacting as if I WERE the character. My facial expressions change. I smile or get agitated. I even shrug and make gestures to go with what a character says, just as if I were saying it. Kids need to see this to understand the depth of pleasure available from such personal engagement. I once read about an anthropologist’s spade clinking on something ancient while she dug into some soil. That reminded me of how I felt once when planting flowers in my backyard. My hand spade clinked on another darned rock. Grrrr. Then I brushed the mud off the rock only to discover it was actually an arrowhead lost a century ago by native inhabitants. I had become a reader personally invested in the content. I was there! So, show little ones how you give yourself up to the events and interactions in books. When they see your glee, they will want it for themselves. Soon, such personal comprehension, the highest kind there is, will naturally become their reading goal as well. ← Who’s Responsible for Literacy?